Meditation does not have to always be performed in a still seated position, although this works for many and is a great way to meditate. Don’t be discouraged by thinking this is the only way. You can incorporate practicing it daily in other ways! Everyone, even those that are restless, needs and deserves the chance to benefit from the power of meditation. Meditative movement allows you to cultivate a healthy mindset. You may think that finding a way to calm your mind and focus is an impossible feat for you, but this doesn’t have to be the case. Adjusting your meditative state to work for you is exactly what meditation is all about, you. Go on a run without headphones. In order to really ground yourself while benefiting from the feeling of endorphins and connecting to your breath, try running without headphones. You will find yourself more in tune with your surroundings and yourself without distractions like music. Better yet, find a nature path to run. If you’re in a city, find the nearest park or river walk. There are options out there! 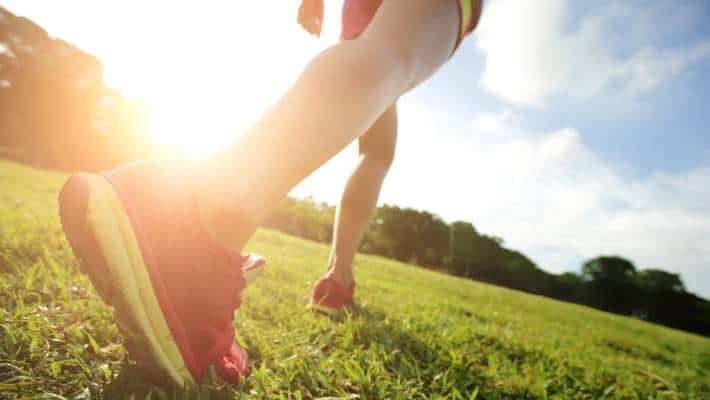 Not only will you really be with yourself during this practice, you will find yourself becoming more mindful of your running technique and movement in general. This might not be an easy transition at first, so please don’t give up on it the first couple of times you try it. Just like with any practice, it takes time to adjust to as you become stronger. It becomes more natural and more comfortable not to focus on the miles and my times eventually still got better either way. Especially for those who live in cities, there is no healing power greater than spending time in nature. While cycling studios and classes are social and fun, everyone, even the greatest extroverts, needs time alone. So why not skip the indoor cycling class once a week and opt for a weekly bike ride alone outdoors. Taking your bike outdoors can help slow things down in a more mindful way. Whether it’s the busy streets or the backcountry roads, the simple act of pedaling forward and avoiding any crashes puts you right into the present moment. Your hearing is now on the heavy breathing coming in and out through your lungs, while your mind starts to quiet. Your breath connects to your pedal stroke, and you are calm. You are just simply being. Try swimming or surfing, if it’s available to you. Swimming forces you to become rhythmic and tantric with your body’s flow and breath. The repetition of the freestyle stroke’s continuous action helps exhaust your body and forces you into a meditative state over time in the water. Constant awareness of your position in the water as well as the water’s movement along with the combination of breath, workout, and repetition of strokes and patterns will ease you into a meditative state. Surfing is the definition of meditative movement. You must focus on the environment around you while also focusing on your movement and breath. There’s no way to command the ocean. This realization causes you to relinquish all efforts to control the situation and just move with the tides. This is not only humbling but calms the mind with extreme focus. All in all, meditation can be whatever you want it to be as long as you are calming the mind, focusing on the present moment and your breath, and are doing so without judgment of yourself or anyone else. Find peace through movement and nature.